Arriving by train or bus brings you right to the centre of town. Here you’ll find a diverse range of cafes and restaurants with choices including Indian, Japanese, Thai, Italian and Chinese. 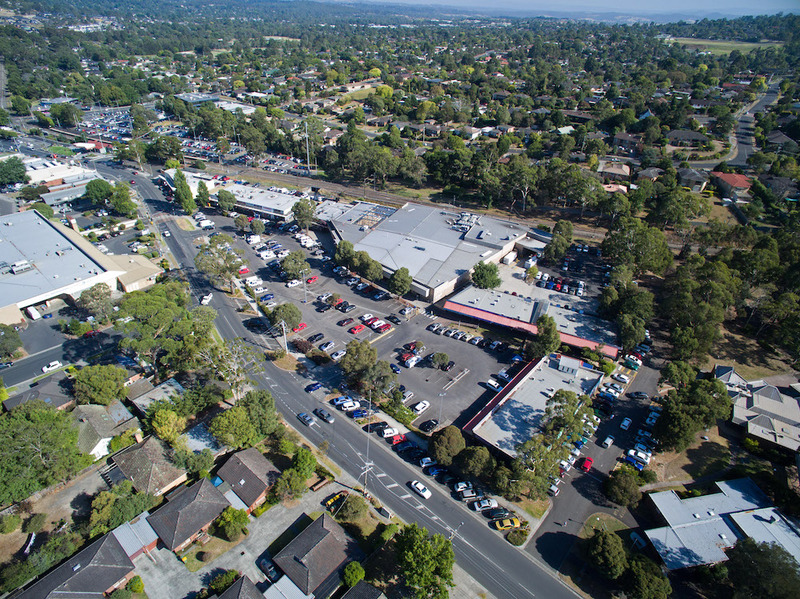 Plenty of bakeries to choose from and our own Mooroolbark Fresh Fruit Shop and supermarkets for all your weekly shopping needs. Among the bustling hubs and variety of retailers in Mooroolbark, you’ll find beautiful blooms on Brice Avenue, vintage clothing on Manchester Road and antique reproduction furniture at The Terrace. The shopping area reaches even further where’ll you’ll find more shops including pet and stock feed on Cardigan Road and to the north of the railway line, you’ll find sensory toys and resources on Winyard Drive. There’s also many choices for grooming and fitness, medical and wellbeing, professional services and a whole lot more.